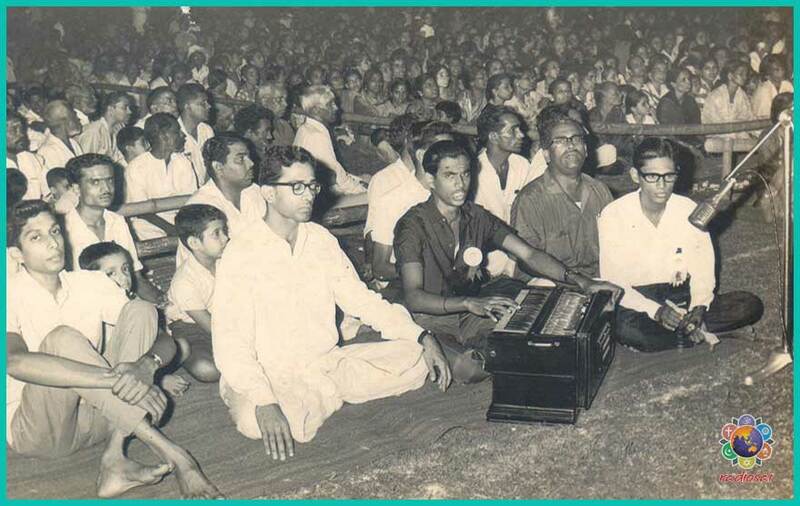 “In 1973 I was working in Chennai in the quality inspection department of TCR Corporation which was into import-export business of commodities,” Mr. Eradi picks one life-changing instance with Swami, “By then I had worked for four years in this company and was now being promoted to join the company's office in Bellary, Andhra Pradesh. I was required to take over this position in 10 days. But I did not want to join there without Swami's blessings. So I requested my boss and asked if I could make a quick visit to Puttaparthi and from there to Kerala to seek my parents' blessings. Once done with these two, I said, I would head straight to Bellary. He kindly permitted me. So I immediately came to Prasanthi. “I corrected myself right away. ‘Swami, whenever You say! 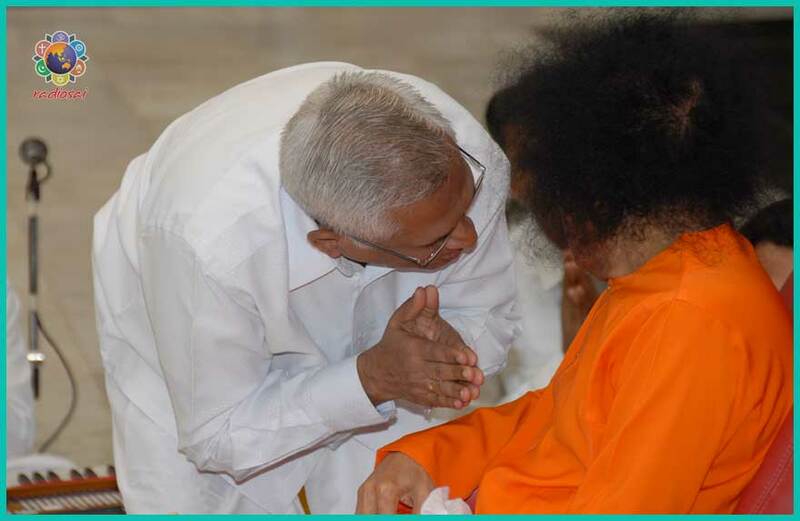 You command me and only then I will leave.’ Swami was very pleased. “So I waited for a day or two. I was enjoying the darshans and bhajan sessions but was constantly looking for instruction from Him to leave because I had to complete many things before I got on to my new assignment. Three days passed but there was no indication from Swami. Now I started worrying. But there was nothing I could do except pray harder. I tried to get His attention but nothing seemed to work. Somehow I had become transparent to Him. “Five days of frustration went by. I was getting more and more restless with every passing day. I could not just leave either. How could I? I had so boldly told Him that I would leave only when He commanded. I had put myself in such a tight spot. My situation was only getting worse by the day. I was really afraid of losing my position. It was not easy to get decent jobs back then and this was a much-awaited promotion. I had put in years of effort in this company and finally I was being given the designation of a manager. “Even if I wanted to apologise to my boss and request for more time, it was extremely difficult then. You had to be really privileged to talk on a telephone. Besides it was tough to get through a call. The only option we had was telegrams. “After 2-3 days I sent a telegram to my chief saying I was unexpectedly held up in Puttaparthi. I repeated this after another three days. I sent the third telegram after five days. How many telegrams could I send? And what could I write? Everything was uncertain. I had no clue what was happening to my life or my career. How could I explain all this to anyone? And whom could I go to when Swami Himself was playing with me? “Speaking to Kasturi Sir definitely filled me with some courage. I tried to calm down, but it was not easy. My mind was a muddle with a hundred worries. In those days I was suffering from a severe liver ailment. My system revolted if I took anything oily. I could not eat any outside food. At Chennai I was staying in my sister's house. So I had no problem; she took complete care of me. Now I was to go to Bellary and was still a bachelor. Many times I used to be concerned as to how I would manage on my own with such hard food restrictions. This was one of the several anxieties bothering me night and day. “Eleven exasperating days passed thus. Still there was no sign or message from Swami. I was hundred percent sure my job would have been given to someone else by now. In sheer agony, on the 12th day, I wrote a letter to Him saying: ‘Swami, please ask me to get out of Prasanthi Nilayam.’ I was really broken. I thought at least if He allowed me to go, I could start hunting for a new job. I was young; it was so heart-breaking to lose a position that I had worked towards for so long. It was one of the lowest periods of my life. After writing the note I placed it at the altar in my room and then brought it with me to give it to Swami during darshan. “That morning when I stretched my hand with the letter, the moment Swami saw me, instead of asking me to get out, He said, ‘Get in!’ I went straight to the interview room. I was happy. Finally, after so many days, at least I was getting an audience with Him. Once Swami came in, He started talking about so many things including bhajans of course. “Now I was so absorbed in Him that I actually forgot about my job and everything. But suddenly I remembered my liver problem. So I began ‘Swami, liver...’. Hardly had I uttered ‘li...’ Swami took over and said, ‘I know you have a severe liver problem. Dr. Nagarajan in Chennai is treating you. This is the injection you have taken. These are the medicines you are on now...’ He went on to narrate the entire history of my disease. I sat there absolutely speechless. 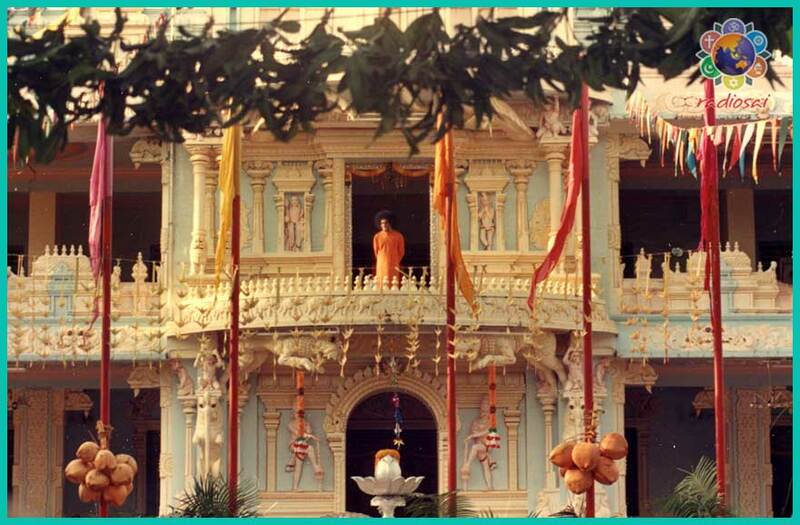 Even as He was speaking, He suddenly waved His hand in the air and out came fragrant vibhuti. I immediately cupped my palms. I collected the prasadam and wanted to preserve it. But He instantly said, ‘Eat the entire quantity right now!’ I implicitly obeyed. This happened in 1973. Since then I have never had a single liver trouble. More than 40 years have gone by. I have crossed 70 now but I eat everything without any problem. Even now whenever I do a general check-up, my liver is perfect! “In fact in those twelve days of waiting, I used to eat in the canteen. There was no other food available at the time. Whether it was upma or dosa, I ate everything. It is completely His grace that nothing ever happened to me in Prasanthi during that period. When I think of it now, perhaps He was preparing me for this wonderful blessing. The gift of health is such a tremendous boon from the Lord. We cannot do anything for Him or for anyone else if our health is down and delicate. “Coming back to the story of my job, Swami did not mention anything about it in the interview. He only said, ‘You come again during Onam with your family.’ Onam was still three months away. I simply bowed down to Swami in submission. However I had my own doubts. Firstly, in all likelihood my job was no more there and I needed to find a new one. No one knew how long that would take. Secondly, even if by any stroke of luck I did get the promotion, it would be impossible to get leave to move out of Bellary at least for the first few months. In fact my responsibilities there were much higher; I was to oversee many key projects. So even though I told ‘Yes, Swami’ I really did not know if I would make it for Onam. “In any case, after I returned to Chennai, with a lot of trepidation, I stepped into my office. How would I face my boss? I was tense. I somehow picked up courage, went to his room, and narrated everything that had transpired in Prasanthi Nilayam with complete honesty. He heard the entire tale patiently, and at the end of it said nothing. There was no clear instruction from him to go to Bellary. “Again I was in a quandary. I heard that the Bellary manager had already been asked to move over to our Goa office but my superior was not saying anything about me going there. In fact when I told him that Swami had asked me to be there in Puttaparthi for Onam, he said, ‘Fine, you can go.’ But no mention of my moving to Bellary! It was such a funny situation. Actually I had no work in office now because before I left for Puttaparthi I was relieved of all my duties. Now for some unexplainable reason my boss was not asking me to get on with my new assignment. I was wondering what was happening. But on the first of the next month I received my full salary like always. It was so strange. My chief was happy to give me full compensation for doing nothing. “The month of Onam arrived and without a question I was again granted leave. Swami was so happy to see my parents. He called us for an interview. While talking to all of us He suddenly turned to me and asked, ‘How much salary do you get now?’ ‘Rs. 350 Swami,’ I replied. “O my God! Our hearts used to melt into nothingness when the Lord Himself used to ask us in this manner. He need not ask, He should only command. But this sweet Lord will never seek or demand anything from us, He will only suggest and request. We used to feel so uncomfortable when He spoke to us in this manner. Who are we? If He wills, in moments, the greatest of musicians will be at His feet. But out of His immense love He was granting such grand opportunities to ordinary people like us. Who else can love us like this? Isn't this a classic case of how when you implicitly obey the Lord with complete faith, your needs too are completely taken care by Him. If we do even a little for the Lord with a pure heart and with absolute sincerity and perfection, the rewards that automatically accrue to us are amazing and beyond comprehension. “Finally in May 1974 my boss called me and said that instead of Bellary I was to now go to Cochin,” Mr. Eradi continues, “He even gave me an air ticket and said, ‘Go and see the location and facilities there. Then you come back and take your belongings.’ This time I did not feel like going to Swami for permission because the whole year He had been blessing me. I strongly felt this was His doing. I got doubly confirmed in this when I reached Cochin and saw the arrangements made for me. I was being allotted a huge quarter with free electricity, free water, free house help, free paper, free everything. I could not believe it! I never imagined a manager could have so many perquisites. “In fact later Swami even told me that He would select a girl for me. He did fulfil this promise too. I had not seen my wife before marriage. I completely went by whoever He had chosen for me. Initially Swami said He would Himself perform the marriage in Puttaparthi but later suggested that it was better to conduct it in Kerala because so many of our relatives are not devoted to Swami and may not come to Puttaparthi to attend the function. ‘Come after marriage and I will bless,’ He assured us. He even gave the wedding saree and all the auspicious items for the ceremony. “When I came to Prasanthi after marriage, Swami called us in and gave us lot of blessings and directions. ‘Sacrifice starts the moment you get married because till yesterday your love was only towards your parents and siblings. Now it has to extend to your wife's parents and her siblings. Now you are attached to more people but that should not diminish your love. Love cannot be measured. Love needs to be expanded...’ Like this He explained many things. Two words that He stressed were ‘Sacrifice and Understanding’. ‘If you are genuinely concerned about others, there will be hundreds to look after you. However this should not be the motivation for you to help others. You should serve because that is your nature...’ Those were His precious words of wisdom to me before I embarked on the journey of being a householder.